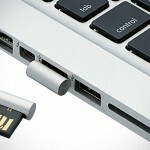 unbeknownst to many, concrete gets stronger over time. beside being incredibly robust, unfinished concrete also lends an industrial look to any architecture. if you appreciate the raw concrete appeal on an architecture, then the kix berlin usbéton should appeal to you too. 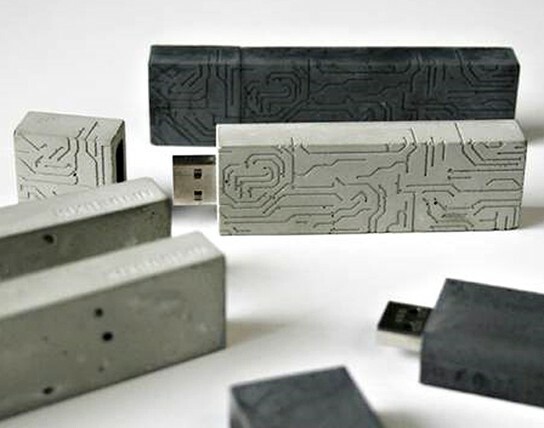 the usbéton is a piece of modern technology cast over with concrete, creating an industrial-look USB flash drive. 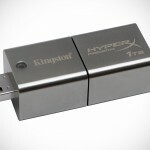 it comes in either 1 GB or 4GB storage capacity and measures 10 cm x 2.5 cm x 1.2 cm. still quite a petite size despite being cast in concrete. 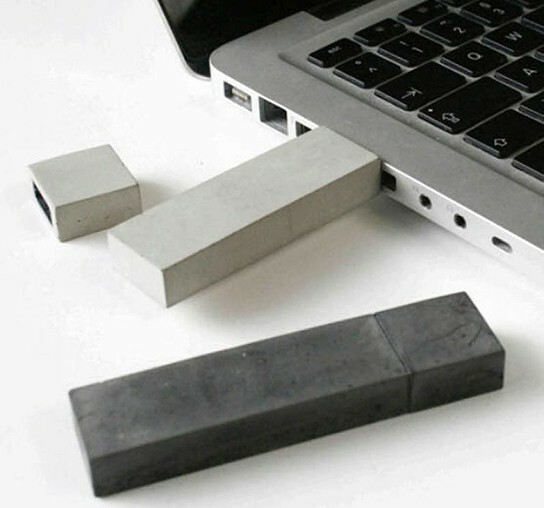 a perfect match with any cast-concrete personal computer. 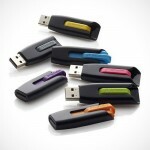 kix berlin usbéton USB Flash Drives are available from ausberlin web store for €45 (about US$65).